Looking for the best sleeping bag experience for your baby this winter? Voksi® strives for making our products as safe and natural as possible. To protect your children from wind and rain as well as to reduce the use and impact of hazardous chemicals, we have chosen to coat our Voksi® Classic, Voksi® Classic+ and Premium Nature with the BIONIC-FINISH®ECO. BIONIC-FINISH®ECO has been developed by the RUDOLF GROUP and is the latest technology for ecologically treating products to become water repellent by mimicking nature. The key of this technology lies in hyperbranched, hydrophobic polymers with ramified structures like in tree tops that crystallise on specifically adjusted comb polymers. This results in a water-repellent finish that functions just like for example a bird’s feathers. Besides imitating nature’s water-repellent structures, the BIONIC-FINISH®ECO also enables water repellence without containing fluorocarbon – just like nature does. This environmentally friendly solution does not release fluoro-organic compounds into the atmosphere and thereby also enables a better future for our children. How does BIONIC-FINISH®ECO help me and my child? When purchasing a Voksi® product coated with the BIONIC-FINISH®ECO , you as a parent can be sure that your child is surrounded by materials free from hazardous substances like fluorocarbon or formaldehydes. Yet, the BIONIC-FINISH®ECO ’s great water repellence allows your child to be protected in their Voksi® stroller bag at all times and at the same time offers great comfort and breathability. Thanks to its great resistance against wear and abrasion, the BIONIC-FINISH®ECO enables you and your child to enjoy the Voksi® stroller bag for as long as possible. Which products are coated in the BIONIC-FINISH®ECO? The Voksi® Classic+ is a perfected version of the original Voksi® Classic, featuring wool filling, pre-cut holes for harness with flaps to prevent thermal bridges, new leather details and new prints. Voksi® Classic+ allows you to adapt the stroller bag perfectly to the temperature and season. During winter, the Voksi® Classic+ can be used with a winter duvet made of nature’s finest material: 100% wool. 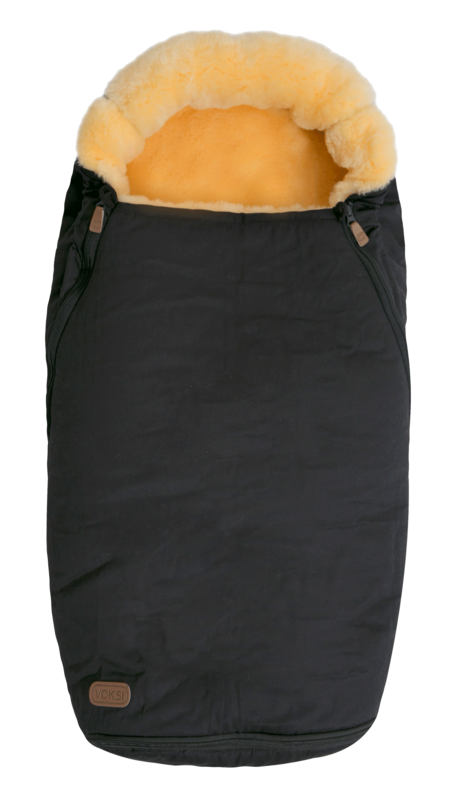 It keeps your child perfectly warm and comfortable at all times while transporting moisture away from your child. For warmer months, a soft summer duvet made of 100% cotton is available as an accessory, which allows you to use the Voksi® Classic+ during the whole year. To provide your child with the warmest protection and high comfort in freezing temperatures, the Voksi® Premium Nature is made of the best quality materials on the market. The Australian sheep skin is certified according to the Oeko-Tex Standard 100, Class 1 and thereby provides a safe and warm environment for your child. Voksi® Classic is our original sleeping bag with wool filling. 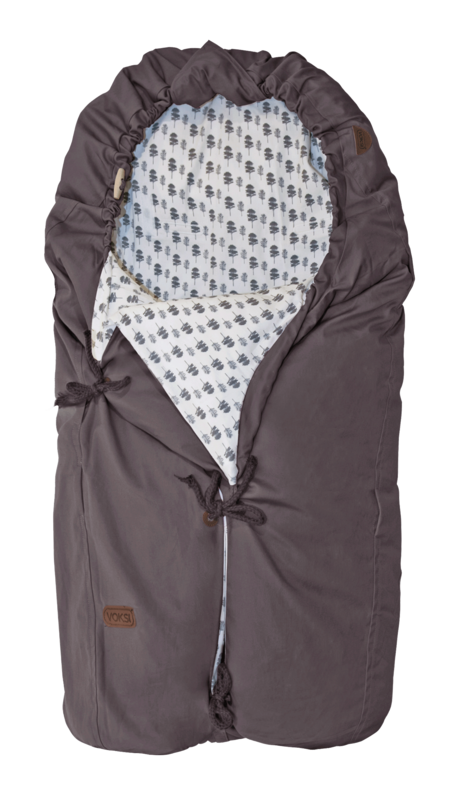 Voksi® Classic can be used everywhere – as a multifunctional sleeping bag, a duvet, a play blanket or as a carry cot with a carrying board. The Voksi® Classic contains a pure wool duvet. Wool has the unique ability to transport moisture away from the baby’s body, it breathes and shows great ventilation performance. Wool is the best material against the cold and is cooling on warmer days. 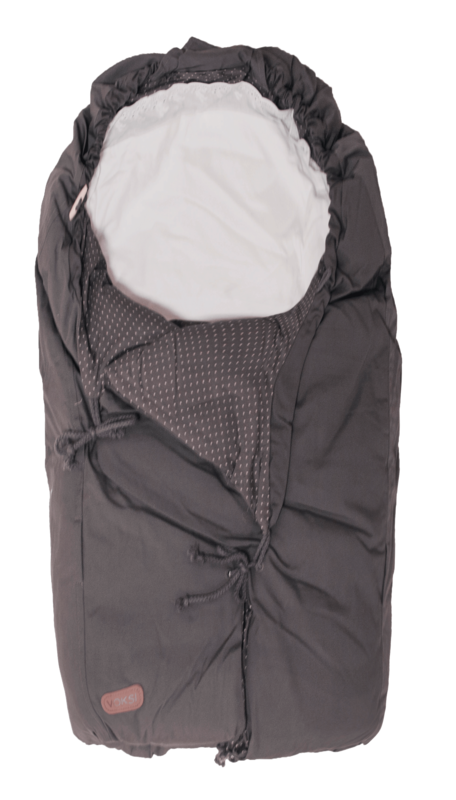 The sleeping bag is versatile and flexible and adapts to the size of your child.